I love the way handspun can feel more vibrant than millspun yarn, whether because of techniques or strategies that are impractical on a large production scale or simply because I know the person who spun the yarn. 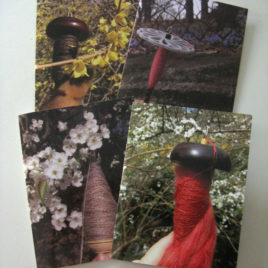 These notecards are printed with photos of my handspun (3 photos of skeins and 1 of a knitted swatch). 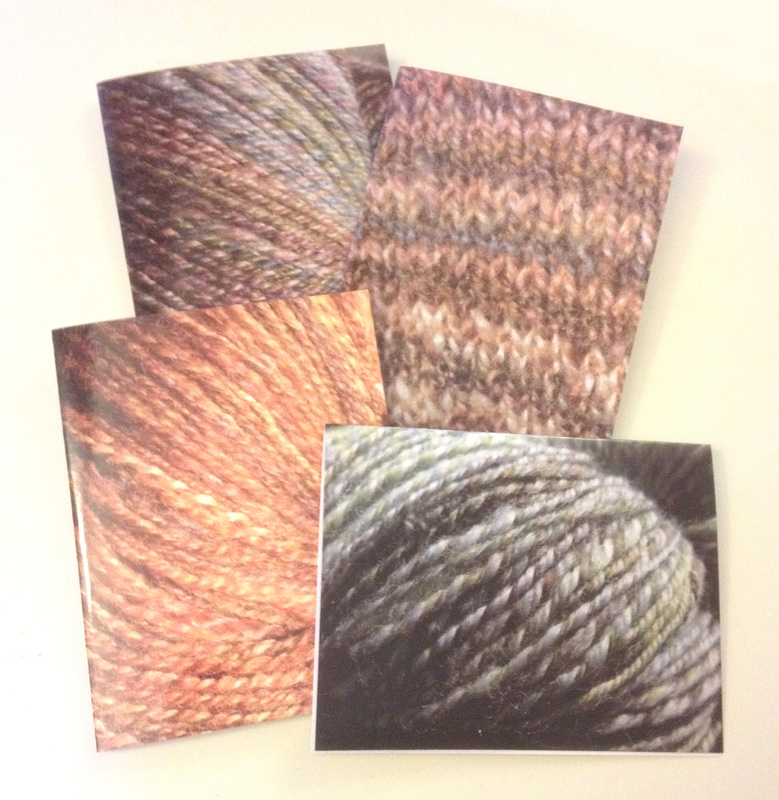 Each card measures 4.25″ x 5.5″ (when folded over) and comes with a nice (white) A2 envelope. 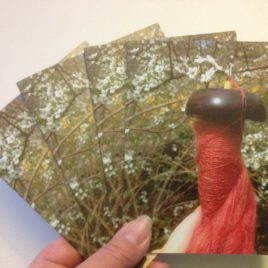 Please note that this listing is NOT for a set of 4 cards.